Twenty five of the barons were chosen without any limitation of time-authorised upon a complaint being made to admonish the King and empowered if redress was refused to levy war against him. All persons were required to swear obedience to them and in fact the executive power was entrusted into their hands. A TRUE CONSERVATIVE MANIFESTO OF 1983 PUTS MR NICE GUY DAVE’S BLAND NON-COMMITTAL SO CALLED CONSERVATIVE INITIATIVES NOT EVEN SUITABLE FOR THE RECYCLE BIN. Foreword by The Rt. Hon. Margaret Thatcher. In the last four years, Britain has recovered her confidence and self-respect. We have regained the regard and the admiration of other nations. We are seen today as a people with integrity, resolve and the will to succeed. This manifesto describes the achievements of four years of Conservative government [From-1983] and sets out our plans for our second term. The choice before the nation is stark: either to continue our present steadfast progress towards recovery, or to follow policies more extreme and more damaging than those ever put forward by any previous Opposition. We face three challenges: the defence of our country, the employment of our people, and the prosperity of our economy. We have enjoyed peace and security for thirty-eight years – peace with freedom and justice. We dare not put that security at risk. Every thinking man and women wants to get rid of nuclear weapons. To do that we must negotiate patiently from a position of strength, not abandon ours in advance. · The universal problem of our time, and the most intractable, is unemployment. The answer is not bogus social contracts and government overspending. Both, in the end, destroy jobs. The only way to a lasting reduction in unemployment is to make the right products at the right prices, supported by good services. The Government’s role is to keep inflation down and offer real incentives for ENTERPRISE. As we win back customers, so we win back jobs. · We have a duty to protect the most vulnerable members of our society, many of whom contributed to the heritage we now enjoy. We are proud of the way we have shielded the pensioner and the National Health Service from recession. Only if we create wealth can we continue to do justice to the old and the sick and the disabled. It is economic success which will provide the surest guarantee of help for those who need it most. Our history is a story of a free people – a great chain of people stretching back into the past and forward into the future. All are linked by a common belief in freedom, and in Britain’s greatness. All are aware of their own responsibility to contribute to both. Our past is witness to their enduring courage, honesty and flair and to their ability to change and create. Our future will be shaped by those same qualities. The task we face is formidable. Together, we have achieved much over the past four years. I believe it is now right to ask for a new mandate to meet the challenge of our times. The ignoble exit from No 10 would have been viewed differently if a Prime Minister had resigned earlier at her own time rather than place in jeopardy the very fabric of our nation so clearly stated above. Britain is once more a force to be reckoned with. Formidable difficulties remain to be overcome. But after four years of Conservative government, national recovery has begun. When we came to office in May 1979, our country was suffering both from an economic crisis and a crisis of morale. British industry was uncompetitive, over taxed, over regulated and overmanned. The British economy was plagued by inflation. After only a brief artificial pause, it was back into double figures. This country was drifting further and further behind its neighbours, Defeatism was in the air. We did not disguise the fact that putting Britain right would be an extremely difficult task. The second sharp oil increase and the deepest world recession since the 1930’s have made these difficulties worse. At the same time, the Western world is passing through another transformation-from the age of the smokestack to the era of the microchip. Traditional industries are being transformed by the new technologies. These changes have led to a rapid rise in unemployment in almost every western country. Our opponents claim that they could abolish unemployment by printing or borrowing thousands of millions of pounds. This is a cruel deceit. Their plans would immediately unleash a far more savage economic crisis than their last; a crisis which would, very soon, bring more unemployment in its wake. The truth is that unemployment, in Britain as in other countries, can be checked and then reduced only by steadily and patiently rebuilding the economy so that it produces the goods and services which people want to buy, at prices they can afford. What we have achieved . This is the task to which we have steadfastly applied ourselves with gradually increasing success. Prices are rising more slowly now than at any time for fifteen years. Britain is now among the low-inflation nations of the Western world. Output is rising. We are creating the conditions in which trade and industry can prosper. We have swept away controls on wages, prices, dividends, foreign exchange, hire purchase, and office and factory building. We have returned to free enterprise many State firms, in order to provide better service to the customer and save taxpayer’s money. We have cut income tax rates and raised allowances at all levels. We have more than protected pensions against rising prices. We have strengthened the police and the armed forces of the Crown. We have done all this and more, and still kept our promise to bring public spending under control. We have paid off nearly half the overseas debts the Labour Party left behind. Once the IMF’s biggest borrower, we are now playing a leading part in strengthening international trade and finance – to the benefit of the poorest countries on earth. And we have acted so that people might live in freedom and justice. The bravery, skill and determination with which Britain’s Task Force recaptured the Falklands reverberated around the world. Many small nations gave thanks for that stand; and our allies in the North Atlantic are heartened by what Britain achieved in the South Atlantic. These tasks will require sustained determination, imagination and effort from Government and People alike. 7. BRITAIN IN THE WORLD. ENGLAND is the PARADISE of Individuality-Eccentricity- Heresy- Anomalies- Hobbies and Humours. WHAT is it that governs the ENGLISHMAN? Certainly not intelligence; seldom passion; hardly self-interest, since what we call self-interest is nothing but some dull passion served by a brisk intelligence. The Englishman’s heart is perhaps capricious or silent; it is seldom designing or mean. There are nations where people are always innocently explaining how they have been lying and cheating in small matters, to get out of some predicament, or secure some advantage; that seems to them a part of the art of living. -we should have to ask ourselves how it comes about that ENGLAND is the paradise of individuality, eccentricity, heresy, anomalies, hobbies and humours. Nowhere do we come oftener upon those two abortions - the affected and the disaffected. Where else would a man inform you, with a sort of proud challenge, that he lived on nuts, or was in correspondence through a medium with Sir Joshua Reynolds, or had been disgustingly housed when last in prison? Where else would a young women, in dress and manners the close copy of a man, tell you that her parents were odious, and that she desired a husband but no children, or children without a husband? It id true that these novelties soon become the conventions of some narrower circle, or may even have been adopted en bloc in emotional desperation, as when people are converted; and the oddest sects demand the strictest self-surrender. Nevertheless, when people are dissident and supercilious by temperament, they manage to wear their uniforms with a difference, turning them by some lordly adaptation into a par of their own person. -is his inner atmosphere, the weathers in his soul. It is nothing particularly spiritual or mysterious. when he is choosing his clothes or his profession -never is it a precise reason, or purpose, or outer fact that determines him; it is always the atmosphere of the inner man. To say that this atmosphere was simply a sense of physical well-being, of coursing blood and a prosperous digestion, would be far too gross; for while psychic weather is all that, it is also a witness to some settled disposition, some ripening inclination for this or that, deeply rooted in the soul. It gives a sense of direction in life, which is virtually a code of ethics, and a religion behind religion. On the other hand, to say it was a vision of any ideal or allegiance to any principle would be making it far too articulate and abstract. In inner atmosphere, when compelled to condense into words, may precipitate some curt maxim or over-simple theory as a sort of war-cry; but its puerile language does it injustice, because it broods at a deeper level than language or even thought. It is a mass of dumb instincts and allegiances, the love of a certain quality of life, to be maintained manfully. It is pregnant with many a stubborn assertion and rejection. It fights under its trivial fluttering opinions like a smoking battleship under its flags and signals; you must consider not what they are, but why they have been hoisted and will not be lowered. One is tempted at times to turn away in despair from the most delightful acquaintance -the picture of manliness, grace, simplicity and honour, apparently rich in knowledge and humour, apparently - because of some enormous platitude he reverts to, some hopelessly stupid dogma from which one knows that nothing can ever liberate him. The reformer must give him up; but why should one wish to reform a person so much better than oneself? He is like a thoroughbred horse, satisfying to the trained eye, docile to the touch, and coursing in most wonderful unison with you through the open world. What do you care what words he uses? Are you impatient with the lark because he sings rather than talks? -and if could talk, would you be irritated by his curious opinions? Of course, if anyone positively asserts what is contrary to fact, there is an error, though the error may be harmless; and most divergences between men should interest us rather than offend us, because they are the effects of perspective, or of legitimate diversity in experience and interests. Trust the man who hesitates in his speech and is quick and steady in action, but beware of long arguments and long beards. -to make his inner mind felt most unequivocally when occasion requires. 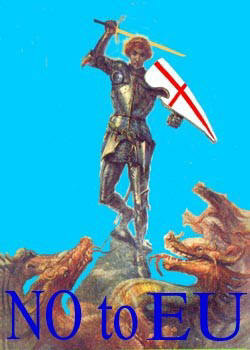 Instinctively the Englishman is no missionary, no conqueror. He prefers the country to the town, and home to foreign parts. He is rather glad and relieved if only natives will remain natives and strangers-strangers, and at a comfortable distance from himself. Yet outwardly he is most hospitable and accepts almost anybody for the time being; he travels and conquers without a settled design, because he has the instinct of exploration. His adventures are all external; they change him so little that he is not afraid of them. He carries his English weather in his heart wherever he goes, and it becomes a cool spot in the desert, and a steady and sane oracle amongst all the deliriums of mankind. 1927-Longmans, Green and Co Ltd.
“Be just and fear not; let all the ends thou aimest at, be thy Country’s, thy Gods’ and Truth’s. THE SOUL OF ENGLAND PT 1/ **** THE SOUL OF ENGLAND PT 2/ **** WHY ARE WE ENGLISH MADE TO FEEL GUILTY/**** DON'T LET THEM DESTROY OUR IDENTITY/ **** NOR SHALL MY SWORD/**** WHY CAN'T WE HAVE A RIGHT TO BE ENGLISH-PT1-/ **** WHY CAN'T WE HAVE A RIGHT TO BE ENGLISH-PT2/**** ENGLAND IS WHERE THE MAJORITY VIEWS ARE IGNORED AND MINORITIES RULE AT THEIR EXPENSE IN POLITICALLY -CORRECT BROWNDOM/**** ALFRED - CHRISTIAN KING OF THE ENGLISH-PT1- /**** ALFRED - CHRISTIAN KING OF THE ENGLISH-PT2/**** ENGLISHMEN AS OTHERS SEE US BEYOND OUR ONCE OAK WALL./**** ENGLAND ARISE! - TODAY WE CLAIM OUR RIGHT OF SELF-DETERMINATION/ **** KISS GOOD BYE TO YOUR SOVEREIGNTY AND COUNTRY / **** ST GEORGE'S DAY-ENGLAND'S DAY/**** EU WIPES ENGLAND OFF THE MAP**** THE SPIRIT OF ENGLAND BY WINSTON CHURCHILL. The Soul of England pt I **** The Soul of England pt 2 **** Why are we English made to feel guilty? 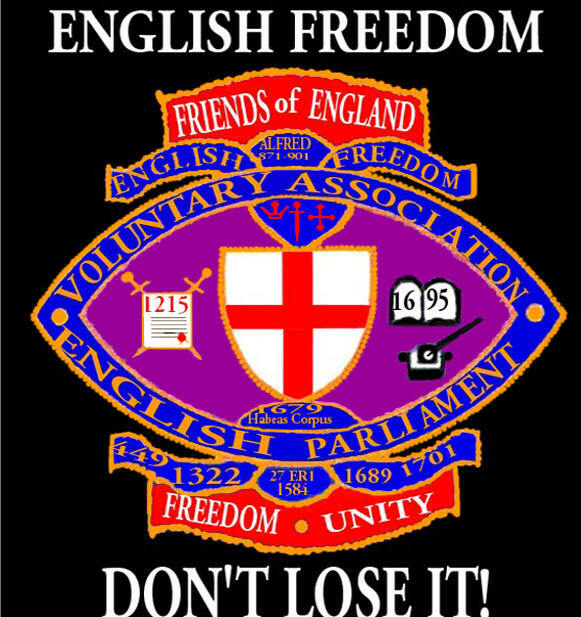 **** Don't let them destroy our Identity **** Nor shall my sword **** Why can't we have a right to be English ?- pt I **** Why can't we have a right to be English ? 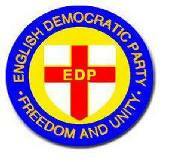 -pt 2 **** England is where the majority views are ignored and minorities rule at their expense in politically-correct Browndom **** Alfred - Christian King of the English-pt I **** Alfred - Christian King of the English -pt 2 **** Englishmen as others see us beyond our once oak wall **** England arise!-Today we can claim our right of self-determination. **** Kiss good bye to your sovereignty and country **** St George's Day-England's Day **** The Spirit of England by Winston Churchill.